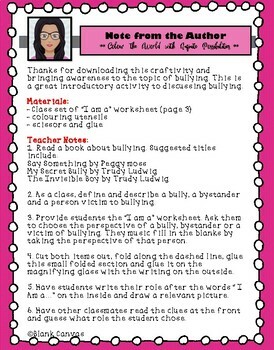 Introduce students to bullying with a mini-lesson and craftivity. 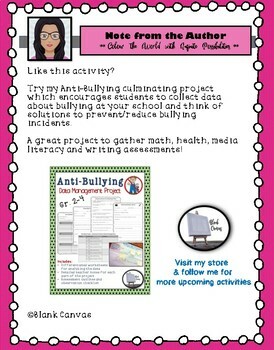 Students will learn about a bully, bystander and victim of bullying. 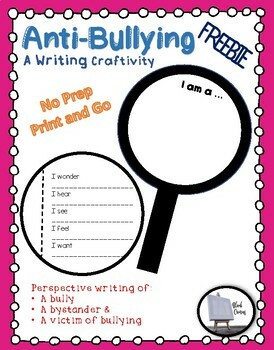 Students will choose one and write through their perspective. 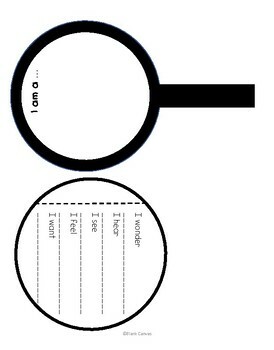 Once complete, other classmates can read the perspectives and guess whose perspective it is written through. I would love your feedback. Please leave feedback after trying this Freebie! Follow me for more upcoming products!